Brazil is experiencing an economic and financial crisis, as it has been observed for a long time. The irresponsibility of rulers caused a deficit of R $ 139 billion in 2016 and recent data show that the problem of internal management was largely responsible for the negative numbers that impacted society. It is estimated that, in the same year, unemployment reached 12 million Brazilians. The objective of this article is to show that accounting, used as a strategic form, has the potential to directly assist Brazil in overcoming this negative scenario. For this, the literature was used to show the public accounting, the tools in the accounting management and how these can directly aid in overcoming the economic and financial crisis. It is concluded that the provision of information through reliable and transparent reports is the best way to aid decision making using the data obtained as a strategic tool. Keywords: Public Accounting, Crisis Coordination, Transparency, Accounting Information. When the execution of this material began in the beginning of 2016, it was not clear how the economic and political scenario of Brazil would unfold. This year was certainly atypical in the national political context, which directly impacted the results of economic performance, responsible for reaching all spheres of society. Some countries with a booming economy have shown instability, mainly because of the large number of speculative agents who make decisions based on the level of confidence, they are constantly working on policy decisions and the multiple factors that affect the quality of the workforce, investment in education, infrastructure, among others. Thus, one can understand that the crisis that Brazil presents now is a result of the global crisis that began in 2007 and the lack of preparation of leaders to deal with an unstable scenario. In addition, the high level of corruption, the lack of skilled labor, the internal political crisis, the lack of structure, etc. directly stimulated the crisis scenario that is identified today. However, even though it is a matter that deserves special attention, this article does not have as its main focus the reasons that culminated the economic and political crisis already established, now with new expectations after impeachment, but the tools that can be used as strategies to cope with the crisis. This article has as main objective to analyze and to see, in the public accounting, a great potential that is to identify and to emphasize the potential strategic confrontation if it applies the accounting management with leadership, strategy and control. This article justifies the contribution that it can generate to a better knowledge of the probable impact with the adoption of the norms and techniques of public accounting with an accounting management focused on leadership, strategy and control. The aim here is to address issues that may influence decision making, somehow altering the expectation of the institutions' results, knowing that the result may be impacted by several non-accounting factors, such as the influence of international economies, the national economic and political scenario, among others. The accounting system represents the structure of information on identification, measurement, evaluation, recording, control and disclosure of acts and facts of public asset management, with the purpose of guiding and supplying the decision process, accountability and instrumentalization of social control. These standards establish and classify the equity elements under the accounting aspect of public equity and the accounting information necessary for the disclosure of acts and facts of public management, accounting and transparency of decision-making. The data found will serve to support reflections on how public accounting, when used under a "new bias" and / or bias beyond what is recognized as traditional, can positively impact the scenario of sharp crisis that Brazil faces, in addition to decisions of a new government. Before understanding public accounting in its contemporary context, it is necessary to pause and return to the time to understand that, from the moment that man began to organize in society, there was a need for regulatory mechanisms of coexistence, structured in the form which found in the Public Administration subsidies to manage the complexity of a society and one of the complex bases is directly related to the need to create and maintain space and public services. According to Augustinho and Oliveira (2014), in order to make this organization feasible, taxation and, consequently, the accounting of this quantity through what is recognized as public accounting. In addition, for the private sector accounting is as important as the ability to generate profits, because it is through accounting and accounting data that earnings are calculated, projected, and losses reduced. For the public sector, the size of the accounting potential is not smaller, since it is also through accounting that the nation's gains and losses are accounted for, as well as where those assets will be applied, directly and indirectly affecting the life of the whole society, not only local, but in a global conjunction, even if, in this second, the impact seems less. In developing societies such as Brazil, public accounting plays a fundamental role in the development process, since it is public accounting and government-designed action that will serve as a guiding instrument. In addition, according to Augustinho and Oliveira (2014), accounting will also bring transparency in the applications of public resources, which will directly reach the trust of investors and partnerships between countries. Haddad and Mota (2010) reinforce these claims, even indirectly, that public accounting or accounting applied to public management is responsible for the control and budgeting of Public Patrimony, existing since antiquity as the basis of government organization. 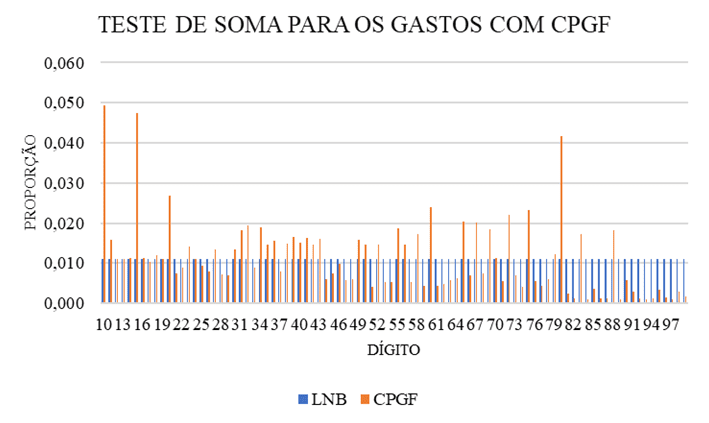 Augustinho and Oliveira (2014) reinforce the idea of ​​control exercised by public accounting, explaining that government actions, when transformed into numbers, reflect in the financial statements that over time became a tool of social control. Public accounting is the branch of accounting science that applies, in the process of generating information, accounting principles and standards. In addition, it collects, registers and controls the acts and facts of a patrimonial, budgetary and financial nature of the public patrimony, evidencing the variations and the consequent results, including social, in the entities of public administration and to them assimilated, providing to the interested parties, relevant information in support of decision-making and accountability processes. However, the information of the concept and definition of the Federal Accounting Council (2009) is responsible for providing subsidy to understand public accounting as a control tool, accounting information transparency tool, responsible for producing reports that serve the administration in the decision-making process, as well as in private institutions. However, it is understood that poorly executed accounting can be responsible for disastrous impacts on a society. Hence some studies that criticize creative accounting that, in a way, mask the actual data and, consequently, affirm that the decision making is based on erroneous data, which can be one of the reasons that have made Brazil reach this crisis level. Another concern that can be observed is the importance of Public Accounting in meeting the expectations of the national context. In addition, it should be a tool not only for decision-making, but also for transparency. One of the main instruments of public accounting is the budget. Within the budget, the main theme of this article can be found with respect to intrinsic and extrinsic factors that directly affect the role of accounting in the context of crisis, according to Haddad and Mota (2010, p.16). The budget can not be understood solely by the financial factor. The budget should be linked to planning activities. In reality, budgeting is a way of materializing planning, that is, of establishing in a discriminatory way, all the sources and applications of money. In 2013, the National Treasury Department published a booklet that it considered as "New Public Accounting". In this booklet the organizers – among them the minister of the state of the farm at the time, Guido Mantega – considered that the Brazilian accounting is being influenced directly by the international organisms through the adoption of the international norms of accounting. Another relevant and constant factor is the follow-up of accounting to international standards that occurred precisely in 2008, Portaria nº 184/2008, according to Carvalho (2015). On the one hand, it was noted that if the world emerged in a previous economic crisis that would directly affect the Brazilian context, on the other hand, there was a concern to adopt control and transparency tools that could facilitate the necessary decision-making in the vision of the minister. However, although 2008 was the starting point, the standards were not unique, it is necessary that accounting, as well as other sciences, be able to keep up with social changes. Accordingly, the National Treasury Secretariat (STN) annually publishes the Public Sector Accounting Manual (MCASP) based on the International Public Sector Accounting Standards (IPSAS) and the International Public Sector Accounting Standards (IPSAS). of the Federal Accounting Council (CFC), in compliance with current legislation. The interfaces of social control depend on the access to information and the mobilization and training of the administered, it is inferred that, accounting applied to the public sector, can be a support of quality to the instrumentalization of social control, as this information is understandable and meaningful for the citizen, considering the very concept given to this expression by the Brazilian Standard of Accounting Applied to the Sector (NBC T) 16.1, which defines the instrumentalization of social control as the "commitment based on professional ethics", which presupposes the daily exercise of providing information that is understandable and useful to citizens in the performance of their sovereign activity of controlling the use of resources and public patrimony by public agents. However, the technology used by public accounting should be a tool for the exercise of democracy and enable and / or enable the exercise of accounting working for multiple purposes. The multiple purpose that accounting can achieve is to be directly related to the need of accounting professionals to use the knowledge of other areas, especially those applied to the management of people, tools and strategic positions, in other words, functions that transcend only the capacity to bring information in reports and numbers, but rather, to use these, as bases of attitudes and punctual actions. On the other hand, public accounting has numerous tools that enable decision making and control within the management process. However, a greater number of possibilities and tools have been observed than previously thought possible. This statement has been observed in the construction of many studies, as will be shown in the course of this study. In this way, seeking to understand the accounting management tools and / or the tools that accounting can provide, both in the epistemological approach and in its praxis and influence on the individual that operates in it and / or from it are used in the information, in this study, to discuss public accounting as a tool and its conceptions in the context of leadership, strategy and control. As mentioned earlier, accounting has had influence in society since its inception. However, what has to some extent been recent, are studies that point to accounting as a strategic tool, mainly, for its ability to produce assertive information. For Augustinho and Oliveira (2014), this is mainly because leaders are pressured to make decisions every day and reports are able to provide substantial information for these decision-making. In public administration it is no different, because of its complexity of impact, it can be said that the positions of leaders concerned with strategic decision making can subsidize decision making and, consequently, maintain a stable economy. For many years the leadership has done and is still part of the interest of studies of many researchers, whether academic or market. This concern is due to the fact that government or private organizations, whether or not for profit, are subject to results from and / or directly linked to the leadership policy. Augustinho and Oliveira (2014) define the leader in three categories: strategic, visionary and managerial. Although it is not the objective of this study to develop the peculiarities that exist in each type of leader, a brief conceptualization will be made, based on Pereira (2015, p.45), and his study with special focus in the context of strategic leadership. Annex II presents details of the three forms of leadership conceptualized and defined by the author. In the case of leadership within the public sector, be it, municipal, state or federal, to face challenges peculiar to other forms of management, presents peculiar challenges to the leaders. Among the challenges encountered is the fact that the employment stability of most servers brings a scenario unfavorable to the leaders in decision-making and achieving by rapid results, with the leader having the challenge of adapting his leadership style according to the local reality in order to seek the best possible performance. Dealing with the paradox of leadership and management are difficult, but it is possible for a critical mass in organizations that have not lost strategic control. Executives of these organizations must begin to see themselves as strategic leaders who need to accept and unite visionary and managerial leaders. They must combat the coercive influences of financial control and fight for the exercise of strategic and financial controls, with an emphasis on strategic ones. They must understand the concepts of tacit and explicit knowledge, of linear and non-linear thinking, and understand how they can integrate them so that the organization benefits. The rewards will often be value creation and superior performance on both newly established and established organizations. According to Augustinho and Oliveira (2014), it is possible to understand that there was an external demand, which pressured the public context to adopt standards that improved the results of international organizations. However, this scenario has driven public managers to become public leaders and to deliver results, even if the scenario is different from the challenges of a private sector leader. Another factor is that public management is introduced in a multifaceted sphere and it is imperative that the strategy be made independent of the sector in which it operates. The action strategy should be better elaborated and sets of alternatives should be presented and defended, debated and widely discussed. And that takes time, the political leader, who is to defend the interests of society, must understand this complex environment, this miscellany of interests, to make their decisions, defend their goals and pursue the realization of their goals. These same decisions, goal advocacy and interest and achievement of goals are not only at the strategic levels of organizations or at political levels. 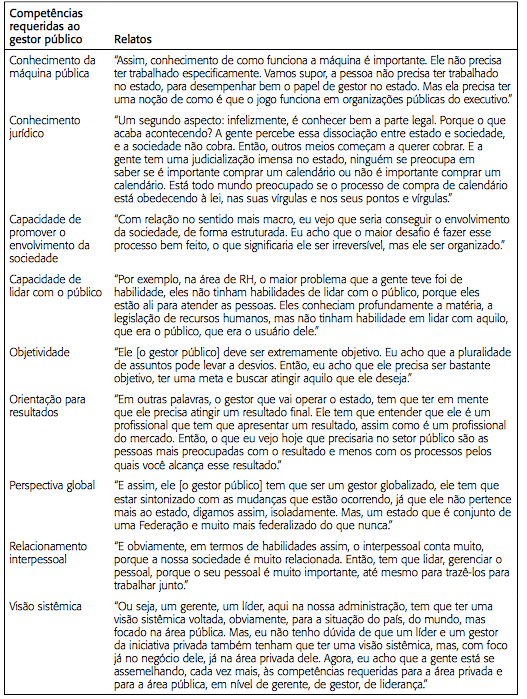 The Regional Accounting Council of Rio de Janeiro held, in 2015, promoted a discussion on the importance of leadership practices in accounting applied to the public sector. This discussion was carried out because when it comes to accounting in the public sector one must act with leadership in the training of data demonstration and information gathering to establish an analytical prediction scenario and with responsibility for the future, without any kind of corruption using tools that accounting allows, that is, leadership and strategy with responsibility. Exogenous factors, such as the globalization of the economy and technological evolution, require the modernization of the State apparatus, the decentralization of functions and the strengthening of government capacity to perform its strategic role in promoting economic and social development. To this end, a managerially competent State, with agile structures capable of responding to the demands of society, became a necessity. In addition, economic and organizational transformations associated with democracy and greater citizenship awareness have given rise to demands for participation and transparency in the conduct of public spending. Examples of corruption at various levels have begun to be questioned, which have questioned the effectiveness of the formal instruments of control in the bureaucratic model. The National Treasury Secretariat (2016), in partnership with the Federal Council, also mentions that contemporary accounting has amplified functions and that, in these functions, leadership plays an important role, as can be seen in Figure 1. Figure 1 clearly shows that accounting management that meets the contemporary demand for internationalization and aims to ensure the success of the sector or the sphere in which it operates must have a leadership that looks at accounting as a whole and includes a globalized vision of the future. In addition to leadership, it is also necessary, in accounting management, to work on top of control, as will be treated following this study. Figure 1 – Proposal of the New Accounting Management. Source: Feijó, 2012. Likewise, control in public management, including accounting is one of the most discussed subjects by researchers, scholars and professionals. Such concern is especially due to the fact that control is one of the main challenges within the public sector and, from this control, it directly depends on the failure and the success of the management. Oliveira and Soares (2010) dedicated themselves to studying the importance and forms of control in public management and brought important contributions in the context of control. It is agreed that control exerts a systemic function and, therefore, is fundamental for organizations, be they public or private. Control in public administration must be exercised internally and externally. In addition, control in the context of accounting will serve as a basis for decision-making, as has been shown in the course of this study. The idea of ​​crisis certainly brings rumors of uncertainty to the market, especially when the crisis is dual (political and economic), causing investors soon to take a stance of retention. As already mentioned, it is developing economies that depend directly on investor confidence to keep growing, scenarios of uncertainties cause groups of investors and even allied countries to withdraw until the scenario improves. It is known that international investment agencies are key players in the investment process because they analyze the economic and political scenario of a country bringing favorable or unfavorable opinions to investors. They are important tools for countries with growing economies like Brazil. However, in 2015 and early 2016, Brazil was downgraded by the three largest investment agencies: Fitch, Moody's and S & P.
With this, the financial crisis directly affects the social organization as a whole, because declared capitalist societies depend on financial capital for their own subsistence. Thus, a brief elucidation on this context will be made to make even more evident the need to recover from the financial crisis in Brazil. It is well known that the economic crisis that has been spreading throughout the world since 2008 and settling in Brazil has had its impact driven by corruption, lack of management, control and commitment to the impacts that could arise. The current recession is different from the previous ones. Besides the global dimension, the crisis destroyed trillions of dollars in financial assets, affecting businesses and families. Private investment will only return when activity levels occupy a large installed capacity, now idle, and household consumption levels will only return to normality after job recovery, income and high levels of indebtedness. It is also noteworthy that these elucidations were taken from a manual which, as early as 2009, had brought together many experts who were already identifying the spills of the world economic crisis in Brazil and alerting them to household indebtedness and unemployment. However, the experts did not imagine that the picture would be aggravated, at least ten times more, when identifying great deviations in the operations of the Federal Police. It is therefore necessary to understand the trajectory of how the crisis settled in Brazil. According to Bispo et al. (2009), the financial crisis in Brazil began with the reflection of the American crisis of 2008, being initially implemented due to the lack of demonstration and government actions on the subject. At the time, the rulers were optimistic and said that the crisis would not reach the Brazilian context, but that if they did, measures would be taken. However, according to the rulers of that time, Brazil should not take any type of pre-trial action since it would not be reached. Unfortunately, the scenario following these statements showed that Brazil would experience an avalanche, which would not only bring an economic crisis, calculated by some experts, but the worst crisis of the last 30 years, but also a political crisis that would lead to the fall of the ex – President Dilma Rousseff. As a result, the primary deficit of the consolidated public sector closed at R $ 106.95 billion, equivalent to 1.9% of gross domestic product (GDP). For this year, the primary income goal was initially established by the Budget Guidelines Law (LDO) at R $ 30.554 billion (equivalent to 0.5% of GDP), of which R $ 24 billion is borne by the Federal Government. It is also necessary to point out that the operations that revealed great corruption schemes in all sectors of Brazil, especially Petrobras, were responsible for reducing investments in Brazil, thus, in addition to a decrease in the collection of taxes, Brazil is still having to unemployment. Graph 1 shows the ratio of public sector results to GDP accumulated between 2013 and 2016. Figure 1 also shows that it is possible to understand that the country's financial deficit has fallen disastrously in the last three years. Mendonça (2016) still thought it risky to predict this year's budget execution. However, it is noted that the forecast for this year does not seem to reflect reflections of immediate improvements. Even so, it is too early to talk about overcoming the economic crisis. Brazil closes with a deficit of R $ 139 billion in public accounts and, to date, 12 million unemployed have been accounted for. However, with the departure of former President Dilma Rousseff through impeachment and the occupation of the presidential post by his successor, Michel Temer, some experts are already beginning to point out degrees of improvement for the future of Brazil. Graph 1 – Primary result of the public sector. Source: Mendonça, 2016. Public accounting appears as one of the most present possibilities in the Brazilian context, even though one of the most aggravating factors in the contemporary crisis was the lack of concrete and transparent information in the accounting reports. Knowing that the users of public accounting are citizens, members of the legislature, researchers and creditors who lend resources or who participate in the financing process. Nevertheless, to serve these users, reports are idealized and presented in a transparent and intelligible way, making it clear that contributions must occur within control, leadership and strategy. It is also possible to understand the need for efficient accounting leadership, capable of acting as a strategic tool and a more effective and lasting control. In addition, according to Oliveira, Sant'Anna and Vaz (2010, p.1468), the competencies required of the contemporary Brazilian public manager, according to Annex III. Exploratory research is intended to provide greater familiarity with the problem, with a view to making it more explicit or constructing hypotheses. Its planning tends to be very flexible, as it is important to consider the most varied aspects related to the fact or phenomenon studied. Data collection can occur in a number of ways, but usually involves a bibliographic survey. Descriptive research aims to describe the characteristics of a given population. For the study and analysis of this article, we searched through bibliographical surveys conducted during the period from February 2016 to January 2017, those that could subsidize the objectives of this research, highlighting the descriptive and exploratory biases, in order to that the question under discussion be clarified in all its aspects. However, the analysis developed was based on the specificities of each concept and practical studies, taking into account the relevance of the theme, using qualitative comparability in specific cases and the reflexes of different economies. The nature of this study is the basic empirical one. Some actions within accounting can be considered fundamental in the coping process, they are: quality of accounting reports, strategic leadership, control and means of control, transparency and use of information technology. It is also perceived that only understanding the basic terminology of accounting is not enough to know the reality of the management of public resources. It is necessary that the results be contextualized and clarified through the analysis and interpretation of the accounting reports and presented in a language accessible to the citizen's understanding. The present study had its origin in the interest in investigating public accounting as a strategic tool for coping with the crisis. In the course of its construction, it was possible to observe that the economies of developing countries are recognizably fragile and directly dependent on political decisions and the balance of financial control. On the other hand, public accounting in this context is fundamental, especially control accounting, which is responsible for both the internal decisions of the country and the responsibility to provide information that can establish the degree of economic health and, consequently, external investments. As a limitation of this study, it was not considered the political influence in the decision making among other variables that can affect the performance and the economy. It is suggested that other studies that are concerned with the size of the application of accounting are carried out, mainly studies that may bring contributions so that public accounting helps the country's economic development. It was observed in this article that any activity, as well as public management, needs strategic instruments to better manage the resources for its full development. Therefore, it is stated that the accounting instruments are necessary and preponderant for the control, projection, planning of the future confrontation of the crisis as a whole and as a fundamental basis for a healthy accounting and a fairer and truer country. AUGUSTINHO S. M .; OLIVEIRA, A. G. Public accounting information as an instrument of social control: The perception of community leaders in the city of Curitiba. RIC – Revista de Informação Contábil, v. 8, n. 2, p. 49-68, Apr.-Jun., 2014. BISPO, C.R . ; MUSSE, J. S .; VAZ, F. T .; MARTINS, F. J.M. (Org.). Global financial crisis: Social and labor market impacts. National Association of Tax Auditors of the Brazilian Federal Revenue Service – ANFIP. Brasília: ANFIP, 2009, 200p. CARVALHO, J. Accounting applied to the public sector: Brazilian accounting standards applied to the public sector – NBC T ASP 16. Regional Accounting Council, 2015. Federal Counsel of Accounting. CFC / CRC System Accounting Manual. Brasília: CFC, 2009. FEIJÓ, P. H. The consolidation of NBCT SP in Brazil: Implementation Schedule. II National Forum of Public Accounting. 19 CBC-Aug., 2012. GIL, A. C. How to elaborate research projects. 5. ed. São Paulo: Atlas, 2010. HADDAD, R.C . ; MOTA, F. G. DE L. Public accounting. Florianópolis: Department of Administration Sciences of the Federal University of Santa Catarina (UFSC). Brasília: CAPES-UAB, 2010. MENDONÇA, M. A. A. Public finances. Chart of conjuncture, n. 30, Mar., 2016. OLIVEIRA, F. B .; SANT'ANNA, A. S .; VAZ, S. L. Leadership in the context of the new public administration: An analysis from the perspective of public managers from Minas Gerais and Rio de Janeiro. RAP – Journal of Public Administration, v. 44, n. 6, pp. 1453-75, Rio de Janeiro, nov./dez., 2010. OLIVEIRA, J. A. FILHO; SOARES, A. F. Internal and external control of public management. Postgraduate Course, WPos, 2010. OLIVEIRA, T. F. Challenge of the leadership exercise in public organizations: An analysis in the State Department of Finance of Rio Grande do Sul. Porto Alegre: School of Administration of the Federal University of Rio Grande do Sul (UFRGS), 2012. PEREIRA, M. M. Strategic leadership as a competitive differential in companies. Lisbon: Instituto Politécnico de Lisboa, Lisbon Higher Institute of Accounting and Administration (ISCAL), 2015. ROWE, W. G. Strategic leadership and value creation. ERA – Journal of Business Administration, v. 42, n. 1, pp. 7-19, jan./mar., 2002. SECRETARY OF THE NATIONAL GOVERNMENT. Booklet and bookkeeping manual, 2016. 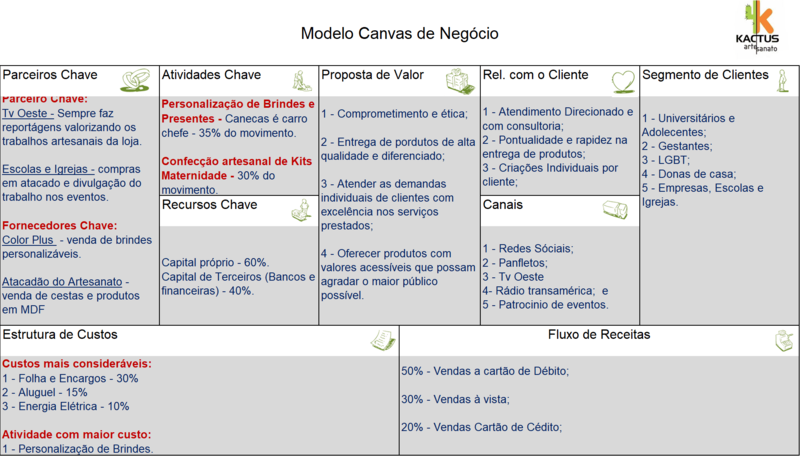 Available at: <http://www.fazenda.sp.gov.br/ipsas/cartilha.pdf>. Accessed Aug. 2016. 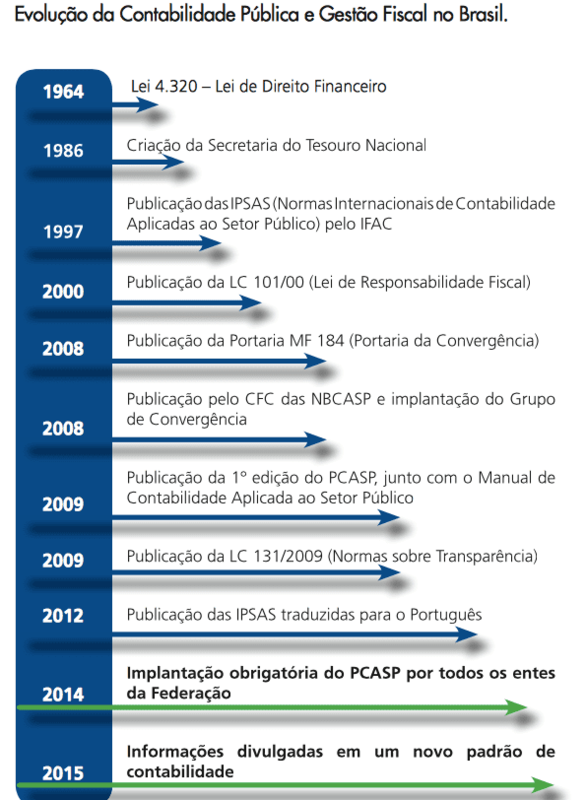 ANNEX I – Evolution of public accounting and fiscal management in Brazil. Source: SECRETARIA do Tesouro Nacional, 2016. ANNEX II – Strategic, visionary and managerial leadership. Source: PEREIRA, 2015. 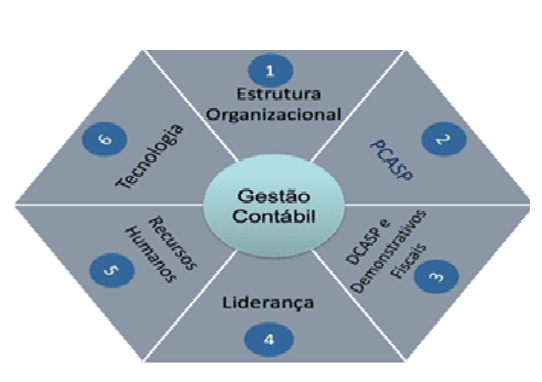 ANNEX III – Competences required of the contemporary Brazilian public manager. Source: OLIVEIRA; SANT'ANNA; VAZ, 2010. Master's degree in Business Controllership from Universidade Presbiteriana Mackenzie. Specialist (MBA) in Public Accounting and Fiscal Responsibility at the International University Center. Graduated in Accounting Sciences from Fundação Alvares Penteado School of Commerce. Accountant of the Faculty of Law of São Bernardo do Campo. Master's Degree in Business Controllership from Universidade Presbiteriana Mackenzie. Specialist (Executive MBA) from the Brazilian Business School (BBS) with an international module held in Luanda / Angola in the International Exchange Program. Graduated in Economics from Fundação Armando Álvares Penteado (FAAP) and Accounting Technician from Osvaldo Cruz Paes Leme College. Professor of MBA courses at Getulio Vargas Foundation (FGV), Mackenzie Presbyterian University, São Caetano do Sul Municipal University (USCS), Estácio de Sá University, ENIAC College and INPG Business School. 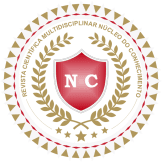 Manager of Accounting and Finance of the Regional Council of Engineering and Agronomy (CREA / SP).